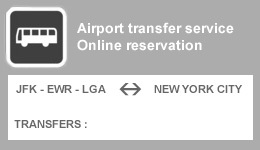 New York City - NYC is mainly served by 3 major airports : Kennedy JFK, Newark and LaGuardia. Airport-New-York.com is an independent information website and has no relation with any official site. It is just meant to bring relevant information to travellers visiting NYC. 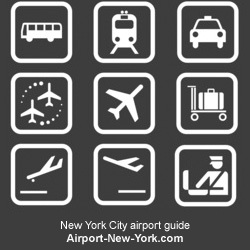 Looking for information about transfer to Manhattan or airport car rental agencies, taxis station location, hotels in the vicinity of each airport or in Manhattan - Or you just need to know which terminal is your flight and where is located the airport on a map ? You're just in the right place. Airport-New-York.com is an independent non official guide to Newark, Kennedy and LaGuardia : See Airlines serving each of them, book your transportation to Manhattan Hotels - Compare prices to find the right place to stay in NYC and get the best deals online. Also check our terminals maps to get more acquainted to the terminal of your arrival and ease your way to New York City Center.